Are you ready to rock with 3rd Rock Sunscreen? Total UV Protection, Totally Natural, Totally Great for Your Skin! You might want to sit down, because we’re about to change everything. Actually, don’t sit. Don’t you dare! Run in the sand, slide on the grass, climb a mountain and barrel headfirst through the snow! Grab the kids and the dog, pack a bag, pack a lunch, crack a book and a beverage or cut out for brunch. Whatever you do, make an excuse to do some of it outside! With 3rd Rock, you can! Welcome to the world’s best patented sunblock that uses only food grade ingredients so it’s safe for the whole family, and which offers unsurpassed UV protection you won’t find in any other comparable sun care product. This is what we at HoneyColony term Simply Transformative, a product that has transformative potential for our health and wellness. Removing unacceptable levels of toxins from the everyday foods we consume, and products we use carries the potential of redefining the quality of life. It’s time to do this with sunscreens. One in five Americans will have skin cancer, and UV rays are not the only reason. Traditional sunscreens are laden with toxic chemicals and hormone-wrecking endocrine disruptors – while they also fail to cover full UVA/UVB range protection against the sun’s harsh rays. 3rd Rock offers a naturally non-allergenic and non-comedogenic protectant you can wear all day, whether you’re ardently catching some waves or calmly catching a few Z’s. Your skin is your second tongue and your largest organ. According to research, the skin absorbs an average of 64 percent of the total contaminant dosage. (Brown et al. 1984 May; 74(5): 479–484). The Environmental Working Group estimates that 98 percent of Americans have sunscreen ingredients their blood. Incidences of melanoma in both men and women are rising drastically despite all these commercial sunscreens? The David Suzuki Foundation reports that 75 to 90 percent of personal care products, including sunscreens, likely contain parabens. This hormone-disruptor has been linked to malignant melanoma, breast cancer, and a host of other serious complications. One in five Americans will have skin cancer during their lifetime (Robinson, JK. Sun exposure, sun protection, and vitamin D. JAMA 2005; 294:1541-43). That is simply unacceptable, especially when the culprit is not only the sun, but the “protection” you’re using against it! "This past spring on Track and Field Day, it was a sunny, 90+ degree day here in Southern Minn. I put 3rd Rock on all three of my kids in the morning before school at 7:30am. Track and Field Day didn’t start until 9am, and I did not reapply it once throughout the day. Not one of my kids had ANY sunburn that day! I’ve never had that happen before with any other sunscreen! It works SO well!" "3rd Rock Sunblock is better than I could have imagined! I am very happy with my first test on the slopes in Snowmass, Colorado. I can’t wait to share it with my family, friends and patients! A 30+ SPF that has NO hormone disruptors, PABA, parabens, benzones, or other nasty chemicals! This is the best solution I have found in years! Thank you!" "This is the sunblock I’ve been waiting for since I became a mom nine years ago! 3rd Rock really protects my daughters from getting sunburned, even after a full day at the beach with lots of swimming. I feel great knowing 3rd Rock Sunblock is not only a SAFE SUNSCREEN, but is good for them and for me too! Plus it goes on so easily, which is a real bonus with kids!" Guerry L. Grune, obtained his B.S. in Mechanical Engineering from Duke University in 1978 (graduation with distinction) with a double major in Chemistry the same year. The senior project involved the use of polysaccharides to induce pseudoplastic flow for tertiary oil recovery. After working as an R&D scientist for Fiber Industries Incorporated, a subsidiary of Celanese and ICI of Great Britain (later Hoechst-Celanese) from 1978-1980 in the heavy denier polyester filament and liquid crystal high modulus organic fiber group, he returned to graduate school at the University of Massachusetts. He obtained the M.S.ChE. (1982) from the Departments of Polymer Science and Engineering and Chemical Engineering working for Professor Robert W. Lenz in the field of thermotropic liquid polyesters including modeling for injection molding leading to commercialization of Vectra for the same purpose. In May 1982, he joined IBM in the Research Triangle Park, N.C. His major responsibilities there included development of the token ring local area network (LAN) cabling system, fiber optic cables and connectors, corrosive gas testing of metallurgical components including the initiation of the Corrosives Gas Testing Laboratory at RTP, standards and specifications for fiber data distributed interface (FDDI) systems, and ISO 9000 registration development. The IBM Cabling system was first announced as a commercial product in May, 1984. In 1992 he completed the doctorate in Chemical Engineering under the direction of Professors Vivian T. Stannett and Harry R. Allcock, involving the use of modified allyl amino polyphosphazenes by radiation for microlithographic resist applications. Leaving IBM in 1993 as an IBM Fellow Engineer, Guerry went to work for ABB Corporation’s newly built Transmission Technology Institute and simultaneously began teaching biochemical thermodynamics as an Adjunct Professor in the Duke University Biomedical Engineering program. As an ABB Fellow Engineer, he developed new coatings for magnet wire, process economic downsizing for drying distribution transformer production lines, developed novel adhesive systems for an optical distribution transformer requiring several new metal-to-glass connections, and worked with key investigators on novel agricultural oils as an alternate heat transfer medium. Among winning proposals submitted were; a corroded underground oil-filled high voltage power line; and the first U.S. Life Cycle Assessment (LCA) study of power and distribution transformers. The science the greatest broad-spectrum protection on the market? Skepticism is healthy, especially when viewing a product that claims to do as much as 3rd Rock. That’s why you won’t find vague concepts or scientific generalities around here. We hate BS as much as we love a powerful SPF, and we’ve got the hard data to prove it. FACT: UVA and UVB radiation are just one component of sunlight, but they’re not visible to the naked eye. FACT: It may be invisible, but UV IS the primary reason the sun damages your skin. UVB is what burns the skin, while UVA penetrates deeper and causes much greater DNA/long-term damage. 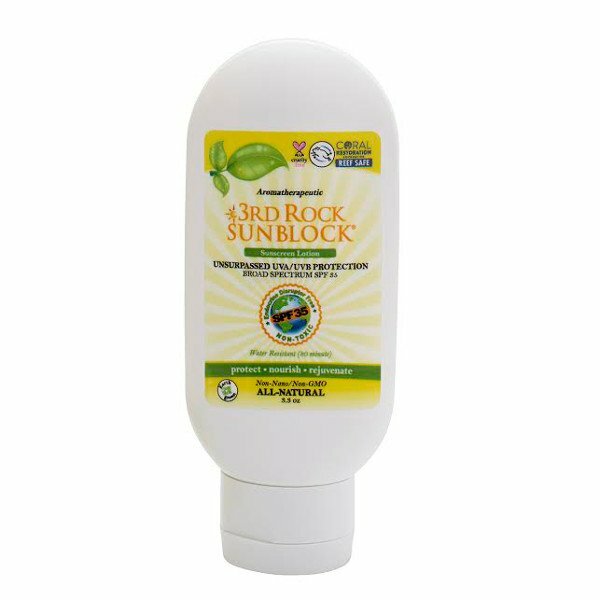 FACT: 3rd Rock Sunblock offers unprecedented, long-lasting protection against both UVA and UVB rays, all without any harmful chemicals!